The Ultimate Drum Play-Along: Journey gives you everything you need to jam with your favorite Journey songs. This book contains exact drum transcriptions, music notation, lyrics, and chords to eight Journey classics. For your convenience, in addition to the complete song charts, drum-only charts are included in the book and printable PDF versions are embedded on the provided enhanced CDs. There are two audio versions of every song on the included CDs: an instrumental sound-alike recording, and an instrumental accompaniment track without drums so you can play along. When you use the CDs in your Mac or Windows-based computer, the TNT (Tone 'N' Tempo) Changer lets you access three versions of each song: the full-instrumental sound-alike, the instrumental accompaniment without drums but with a constant click track, and the instrumental accompaniment without drums and without a click track. Plus, the TNT software allows you to easily loop sections for practice, slow tracks down or speed them up without changing the pitch, change the key, and switch back and forth between the full-instrumental and play-along tracks. The Ultimate Drum Play-Along: Journey (2 CD/Book) contains eight of the most famous Journey hits from 1978 to 1983. Despite the book's cover, "Lights" (1978) is from the Infinity album which features Aynsley Dunbar on drums. The remaining songs in this package are from Evolution (1979), Escape (1981) and Frontiers (1983), all featuring Steve Smith on drums. The two Compact Discs are designed to work in a computer (Mac/PC) or standard CD player. When using a CD player you'll have to use Disc 1 for the full-instrumental tracks, and Disc 2 for the play-along tracks; with a computer, both discs act exactly the same. The advantages of using a computer is that you can take advantage of the TnT (Tone 'N' Tempo) technology, allowing you to change the key of the song or change the tempo of the track, making it slower or faster. You can also loop the playback of an entire track. While the tempo changing is a great feature for drummers, the biggest plus is having the ability to mute the recorded drums or mute the drums AND the click track. I'm very pleased to see that once again Alfred is making the "Mute Click Track" available — allowing you the performer to establish the pocket and feel — even record yourself playing along to the track without having the click blaring away in the mix! I'd also like to mention that Lee Levin did a fine job on the drums/percussion for the full-instrumental recording. The book comes with two types of charts. The first chart type is a grand-staff; melody line, lyrics and chord changes on the top staff, drum part on the bottom staff. The second chart type is a standard drum chart; a transcription of the original performance from the Journey albums. The entire book is printed on 100% recycled paper; nice. As great as this package is, it does fall short in two small areas. At the bottom of the Table of Contents (page 3) it says "For your convenience, printable PDF versions of the drum charts are included on the enhanced CDs." I thoroughly checked both discs and there are no such charts. Not a big deal for some, but the Alfred is marketing this product claiming that there are PDF charts included on the discs. So if you are purchasing this play-along package, thinking that there are going to be PDF drum charts/transcriptions of the eight tunes, you're going to be very disappointed. The solution is to make photo copies of the charts from the books for your own personal use. The drum notation key in the back of the book (page 80) is for a 4-pc drumkit; only two Tom-Toms are noted. The drum charts/transcriptions make use of more than just two Tom-Toms for obvious reasons; Dunbar and Smith used more than a 4-pc drumkit. One only has to look at the front cover of the book to see Steve Smith is using five Tom-Toms! If you are going to provide a key for the drum notation, which makes complete sense (most books have them), you have to got to provide the CORRECT key or your just going to create more confusion. 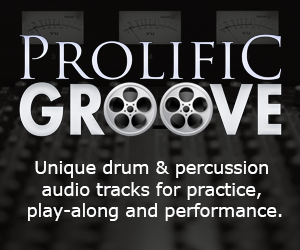 Drummers of all levels, beginners to advanced, will be able to make good use of this drum play-along package. If you are a Journey fan and enjoy playing to the band's classic hits, you are definitely going to want to add Ultimate Drum Play-Along: Journey to your music education library.